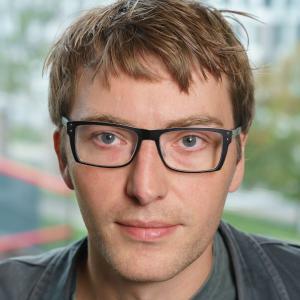 Malte Jung is an Assistant Professor in Information Science at Cornell University and the Nancy H. ’62 and Philip M. ’62 Young Sesquicentennial Faculty Fellow. His research focuses on the intersections of teamwork, technology, and emotion. The goal of his research is to inform our basic understanding of technology supported teamwork as well as to inform how we design technology to support teamwork across a wide range of settings. He leads the Robots in Groups Lab, which seeks to contribute to our basic understanding of group dynamics and how group dynamics can be shaped by robots implicitly and by design. Malte Jung received his Ph.D. in Mechanical Engineering and his Ph.D. minor in Psychology from Stanford University. As part of his doctoral work, he demonstrated that the theory and methods originally developed to predict divorce in married couples could be adapted to predict the performance of engineering design teams. Prior to joining Cornell, Malte Jung completed a two year postdoc at the Center for Work, Technology, and Organization at Stanford University. He holds a Diploma in Mechanical Engineering from the Technical University of Munich and an M.S. degree in Mechanical Engineering from Stanford University.